Received a call from Allie's GI doctor saying that he would like Allie back on her Erythromycin medication and he wants to up the dose from last time. He said that since her growth rate fell in the last 6 months, he's concerned. With putting her back on the medication and with a higher dose, he's hoping this will increase her oral intake. Erythromycin is used to help moved things along in the digestive track. Since Allie's stomach doesn't empty properly, the doctor is hoping this medication speeds up her emptying so she feels hungry. 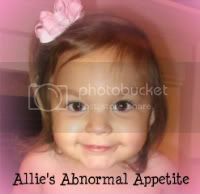 This medication should also help Allie empty her stomach faster for her tube feedings - so hopefully we can get more calories into her. Allie has been on this medication previously, numerous times actually and we seen very little to no changes in her. However, we are hoping this time it works, especially with the increased dose. Allie started 4 year old preschool last week. She's in class with some great friends so I am hoping she transitions a little better than last year. The silly girl just doesn't want to leave my side - EVER! We had a great summer but honestly, I'm happy school is back in session. Allie continues to do good. 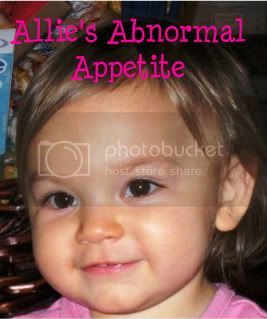 We have no knew possible diagnosis for her and we are not truly actively searching at this time. I continue to do my research daily on possible diagnosis's, however we are still taking a break from doctors. We pray daily for an answer but for now, we are just living our life and enjoying it. Allie giving us a big smile! Chloe's first day of 1st grade - they grow up too fast!